Smoked Haddock Risotto Recipe | Simple. Tasty. Good. I don’t know about you but I adore smoked fish. 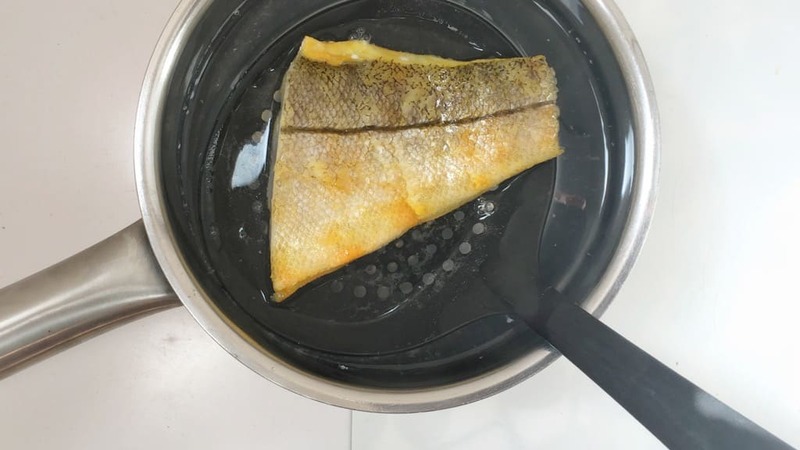 And there’s something about smoked fish in combination with butter and eggs if you ask me. 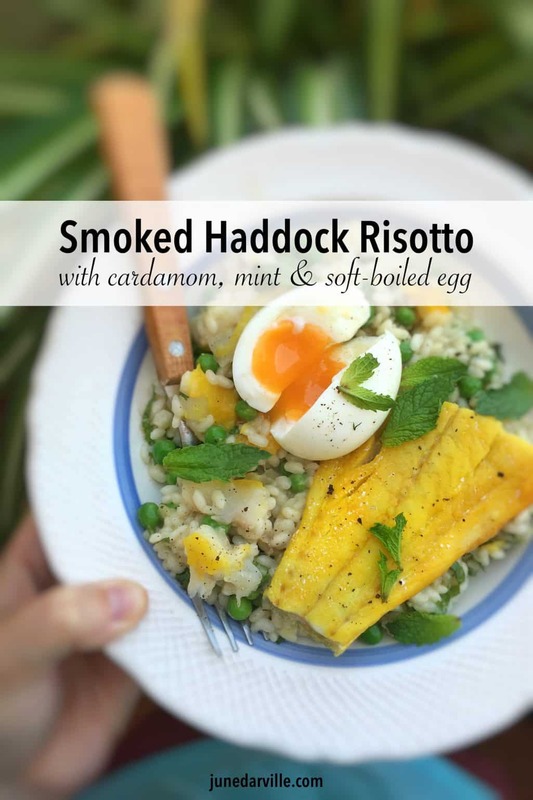 I combined all three in this smoked haddock risotto below. I was actually going to make kedgeree but the hubs turned the milk I wanted to use into ice cream the day before. Let’s just call this one an Italian version then! Love smoked haddock? Then also check out my smoked haddock with spinach and butter sauce! Or how about my smoked haddock quiche with spinach and horseradish? Like smoked fish? Then you'll adore this buttery smoked haddock risotto! Melt half of the butter in a large saucepan over medium heat and add the cardamom and chopped onion and garlic. 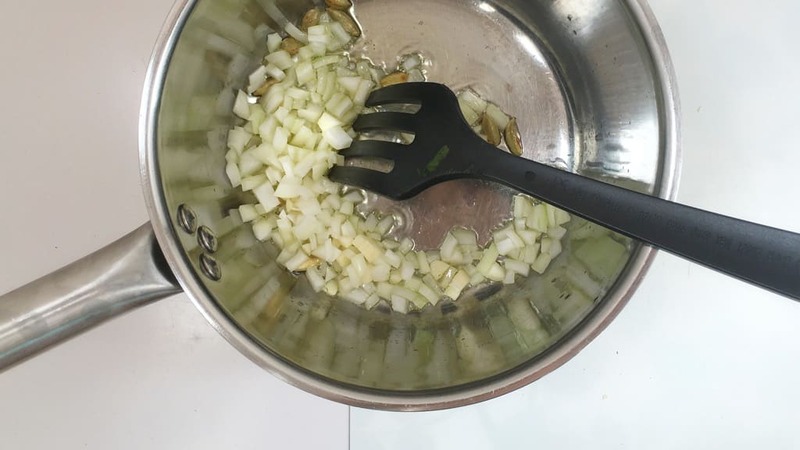 Stir well and gently fry the onion and garlic in the butter for 4 minutes. Stir regularly. Then add the risotto rice. 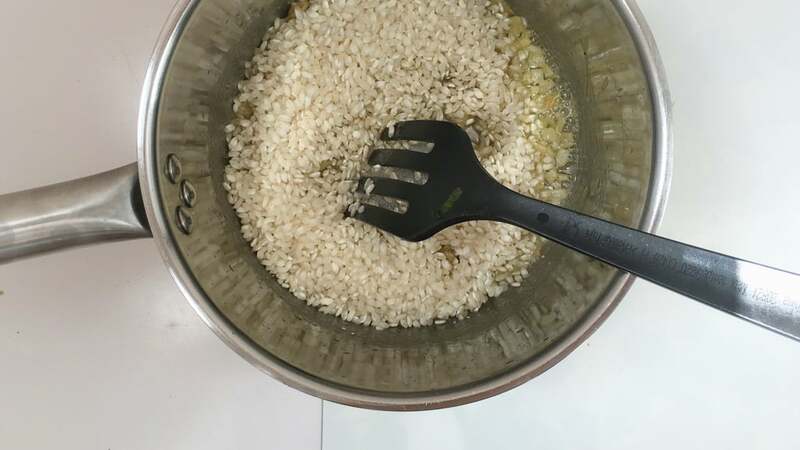 Stir well and let the rice bake for 3 minutes. Then add the white wine and a little of the stock. Season with a pinch of pepper. Stir the rice well and let the stock reduce. 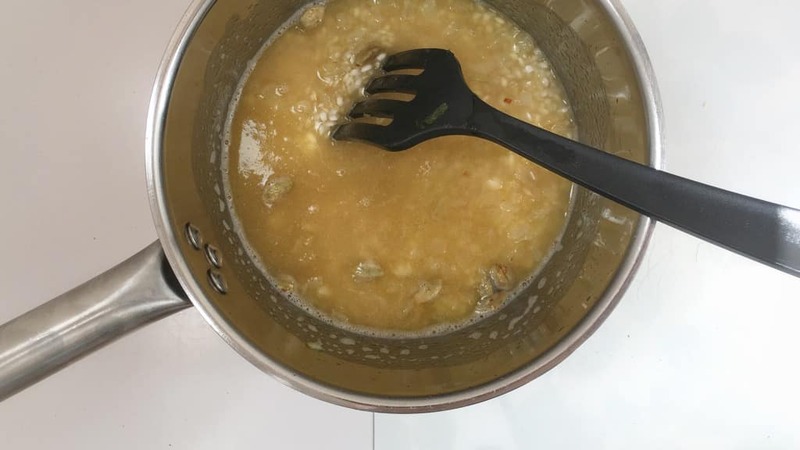 Gradually add extra stock until the rice is almost tender. Check it once in a while to avoid overcooking it. In the meantime slice the haddock fillets in half and shed one half into large bite-size bits. Poach the other halves in some hot water or milk. 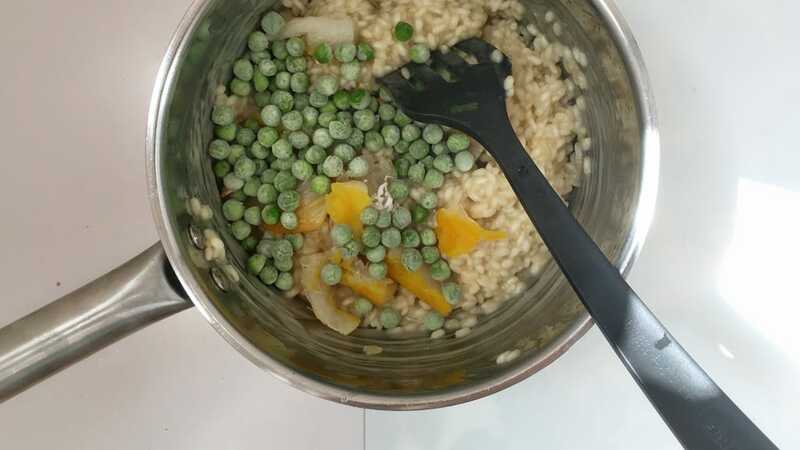 Once the rice is almost tender, add the frozen peas, the rest of the unsalted butter and the shredded haddock. Stir well and turn the heat low. Then add the freshly chopped mint. Stir again and check the seasoning. Add extra pepper or salt to taste if necessary. Put a lid on the risotto and turn the heat off. Carefully peel the soft-boiled eggs. 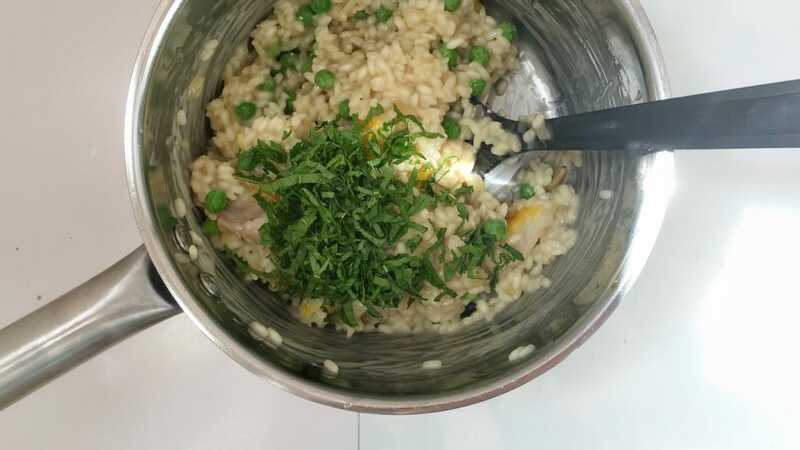 Scoop the risotto onto deep plates and top with the poached haddock and the eggs. Serve immediately. Thanks Pino, happy weekend to you too!